Save time on repackaging new versions for your apps with just a single click. The repackaging process is the same, except the final step where instead of importing the results into a new empty project you’ll choose to import them as an upgrade to an existing project. 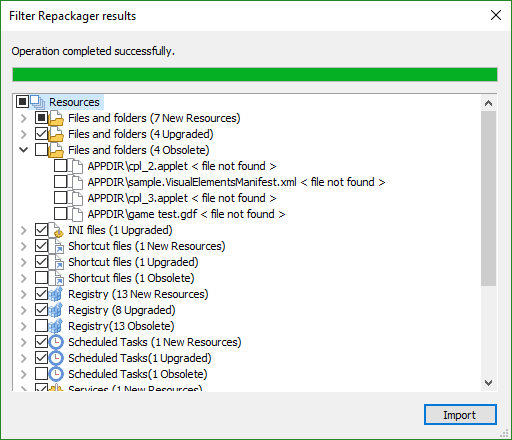 Advanced Installer automatically detects the new resources from the upgraded version and your customizations from the previous one, including your initial project cleanup, then merges all resources into a new project, following the MSI guidelines (maintaining same components GUIDs, upgrade code) for creating upgrades. To learn more about how to repackage updates see our documentation.